Why do you need a Customer Relationship Management solution? Increase sales, improve customer satisfaction, or simply gain control of your critical information! We have been a SugarCRM partner since 2005, and have grown to be the largest Canadian-owned SugarCRM partner. Our team has implemented, supported, integrated and hosted hundreds of SugarCRM systems for organizations across Canada and in the US. 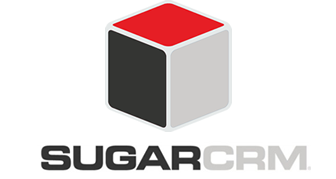 Ask us how we can implement out-of-the-box or customize SugarCRM to meet your business needs. SugarCRM Empowers Your Key Business Processes! We run a one-stop CRM shop, and we can help you at any or every step in your CRM journey, from picking the right CRM tools to meet your unique needs, through customizing and implementing them, to hosting your solution and training your people. The industry is moving quickly, and there are a wide variety of tools and strategies available. We know the industry and how to make today’s CRM work for you, whether you want simple CRM software or you want to use your CRM as an ERP. Need to generate more leads? Interested in Social CRM? We’re here to help! There are many options available, both out-the-box and customized. Our experts specialize in CRM customization and have worked with many clients across Canada and in the United States who have unique needs. Let us build a solution that works for your needs. We offer honest prices, great quality, and a dedicated team focused on your success!